Morton Salt factory spills salt everywhere. Morton Salt, the, you know, salt maker, ran into a bit of trouble at their Chicago factory on Tuesday afternoon when a wall collapsed leading to what will now be known as a saltpocalypse. 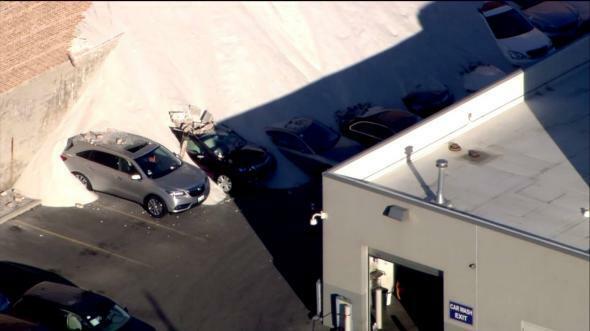 “No injuries were reported, according to fire media, though some cars at the nearby Acura dealership were damaged,” according to the Chicago Sun-Times, which makes the salt avalanche the perfect manmade natural disaster—unless you’re an Acura. Morton Salt’s slogan is: “When It Rains It Pours.” Don’t read too much into it.